Sometimes incredible stories are actually true, and in this case, experts agree that a small onyx stone, claimed to be given to a Knight Templar over 1,000 years ago and handed down through one family from generation to generation, is actually what the present owner claims: a gem from the breastplate of the High Priest in Jerusalem. 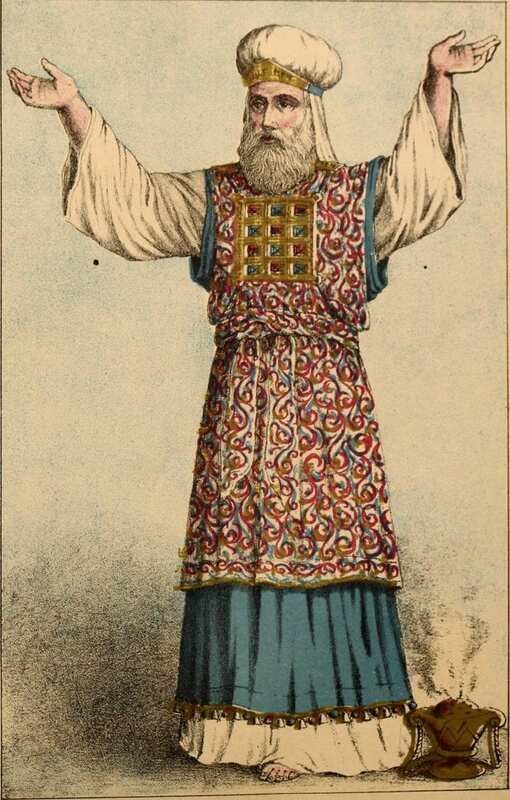 The stones of the choshen mishpat, the High Priest’s breastplate, were referred to in the Bible as the urim v’tummim, a phrase that defies translation. The Talmud (Yoma 73a) describes how questions were put to the breastplate, and the stones would light up to spell out the answer. 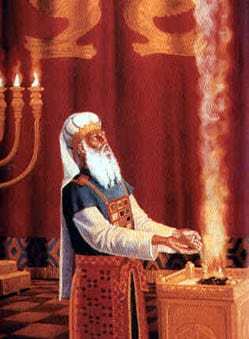 The book of Samuel lists the urim v’tummim as one of the three forms of divine communication: dreams, prophets, and the urim v’tummim. According to the Talmud (Yoma 21b), the urim v’tummim were lost when Jerusalem was sacked by the Babylonians. The Book of Ezra mentions that individuals who were unable to prove, after the Babylonian captivity had ended, that they were descended from the priesthood before the captivity began, were required to wait until priests in possession of urim v’tummim were discovered. In addition to the 12 stones mounted on the breastplate were two sardonyx stones fixed in gold settings on the shoulders of the High Priest. Experts believe this is one of those stones. If this is so, contained within it is the power of prophecy and it may play an important role in returning the Priestly Caste to serve in the Temple. In 2000, Dr. James Strange, a noted professor in religious studies and archaeology, traveled to South Africa. An acquaintance suggested Dr. Strange contact a family she had met there and if he could, help them with a pro-bono appraisal of a gemstone. They were of humble means and Dr. Strange was a certified appraiser whose services were highly sought after. Dr. Strange met with the family, intending to humor them. Instead, he was astounded by what they showed him. “I was indeed amazed at the gemstone,” Dr. Strange told Breaking Israel News. The stone itself was nothing special. A semi-precious sardonyx, it had little intrinsic worth. But Dr. Strange was puzzled by the object he held in his hands. “I was unaware that anyone in the late Middle Ages had the technology to cut a hemisphere in such a medium, so I tried to exhaust all other explanations,” he said. Dr. Strange was an expert but when faced with such a mystery, he sought help. He turned to Ian Campbell, Director of the Independent Coloured Stones Laboratory in Johannesburg and a leading South African gemologist. Campbell was equally dumbfounded. He studied the stone, trying to ascertain its origin. The owner’s story placing it on the High Priest’s breastplate were too incredible. But the family had documentation that traced its descent from a Crusader-period male ancestor who had been in the Holy Land in the Middle Ages and claimed the stone was a reward from the High Priest. Could it be true? According to the Auret family tradition, the ancestor, named Croiz Arneet deTarn Auret, received the stone from “the High Priest” in gratitude for his part in freeing Jerusalem around 1189. The custodianship of the stone was passed on in the Auret family through the male line until the nineteenth century. That tradition was broken when Abraham Auret passed away in 1889, bequeathing the stone to his daughter, Christina Elizabeth. After her marriage to William James Hurst, the stone left the Auret name, and has been passed on from mother to daughter ever since. Meticulously recorded family trees and genealogical reports corroborate the story. The stone was passed on as an inheritance and is presently owned by an elderly woman in South Africa, who wishes to remain anonymous. It has been strongly transmitted to each member of the family through the centuries that it was God’s hand that inserted the mysterious inscription inside the stone. The mystery of the writing remained. Dr. 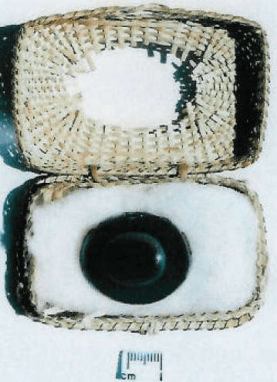 Strange noted that the stone had no external markings, so it clearly hadn’t been set in a ring or a necklace. He was forced to conclude that it had probably been set in a large plate or breastplate. He dated production of the stone to approximately the 5th century BCE. As an appraiser, Dr. Strange could not erase all doubt, but he could certainly evaluate it as a one-of-a-kind. He appraised the stone’s value at $175-$225 million. He estimated that $200 million was a “fair starting point”. The owner of the stone also consulted Professor M. Sharon from the University of Witwatersrand. 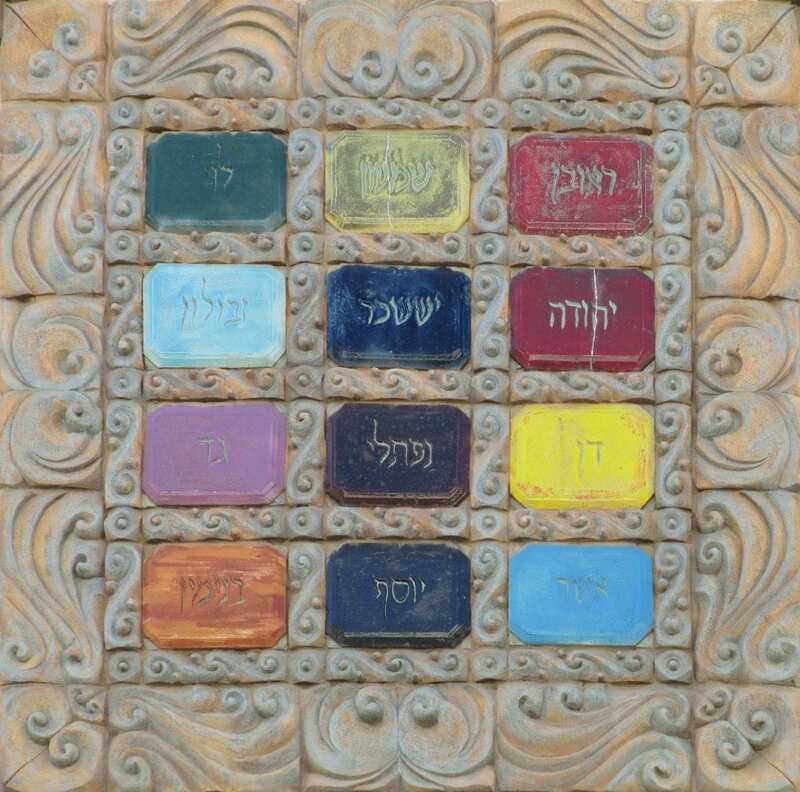 The professor, an expert in ancient Hebrew, was given a photo of the stone. The blurry photographs hinted at something astounding but he had to be sure. Intrigued, he asked to examine the actual stone. 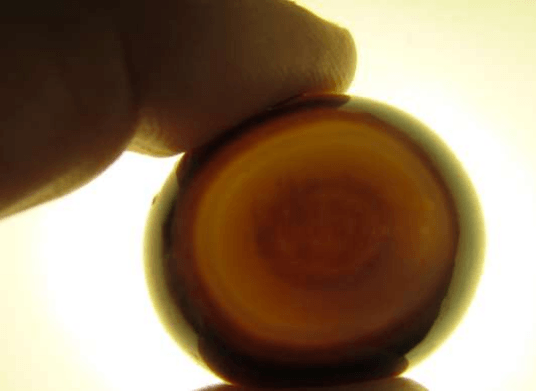 In his written report, he said that when he held it to the light, he was amazed to see very clearly inside the stone itself, two letters in ancient Hebrew. The letters seemed to be engraved or burnt into the heart of the stone. He noted the inscriptions in ancient Hebrew script of what he described as “the equivalent of our ‘B’ and ‘K’.” He identified the style of script, dating it to be from the year 1000 BCE, give or take 200-300 years. 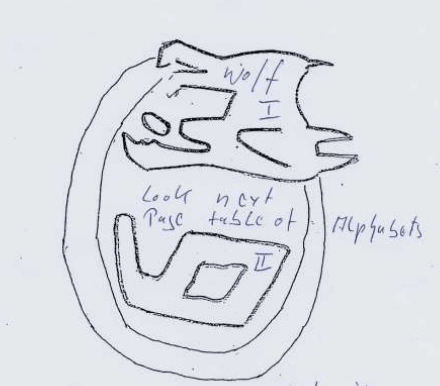 In her notarized report, she observed next to the letter bet “what can be perceived as the image of a wolf.” She noted that the wolf corresponded to the blessing Jacob gave Benjamin. Dr. Westenholz and Ian Campbell have since passed away, but Breaking Israel News was able to confirm that their statements and documentation were genuine. Campbell’s apprentice, Jeremy Rothon, confirmed the original appraisal and told Breaking Israel News that he was well aware of the stone’s heritage. It had made an enormous impression on Campbell and he had discussed it at length with his student. The present owner has contracted with a South African businessman to find investors who are willing to purchase the stone and bring it home to Israel. Both parties prefer to remain anonymous. When he saw the stone and understood what it was, the businessman was dismayed, understanding that it could easily turn into a commodity, an object of greed. He recognized that this small stone was an enormous part of Jewish history and set out to find an investor who would recompense the owner with the intention of bringing it to Israel and donating it to the Temple. 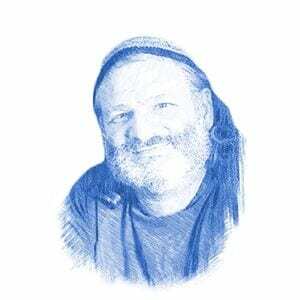 Many people have begun to discount the Jewish connection to Israel and the Temple Mount, claiming the Jewish Temples are fairytale accounts. This small stone and its miraculous engraving that once lit up the High Priest’s breastplate are proof that the Temple stood in Jerusalem, and may signal the return of more artifacts that have been misplaced, waiting to return home.